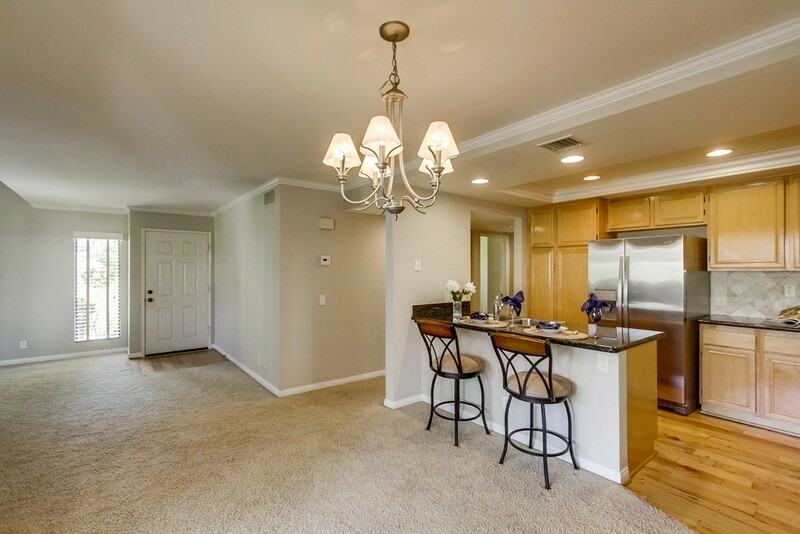 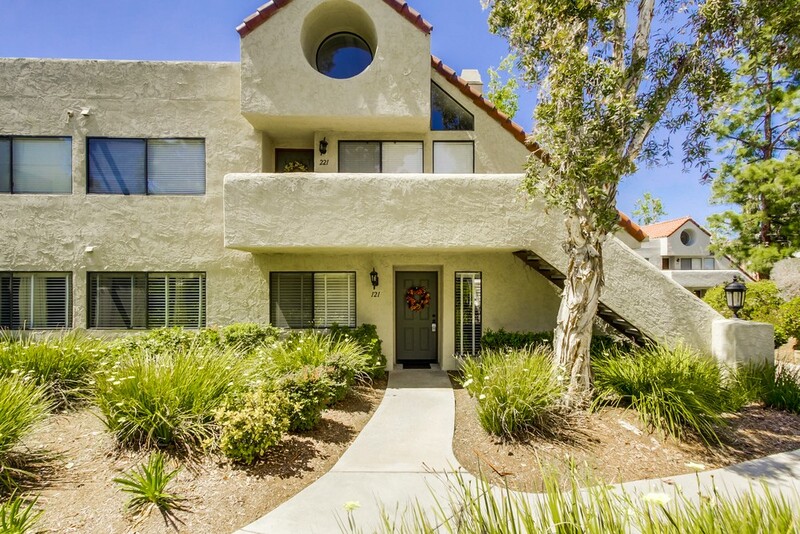 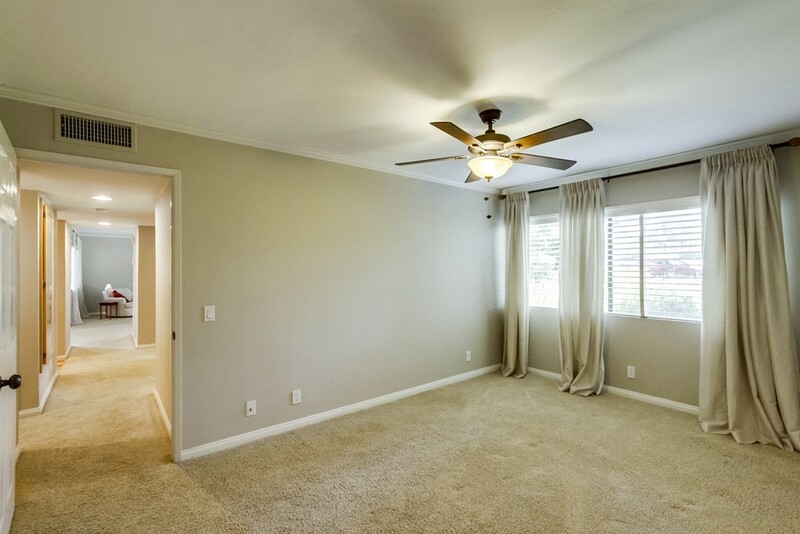 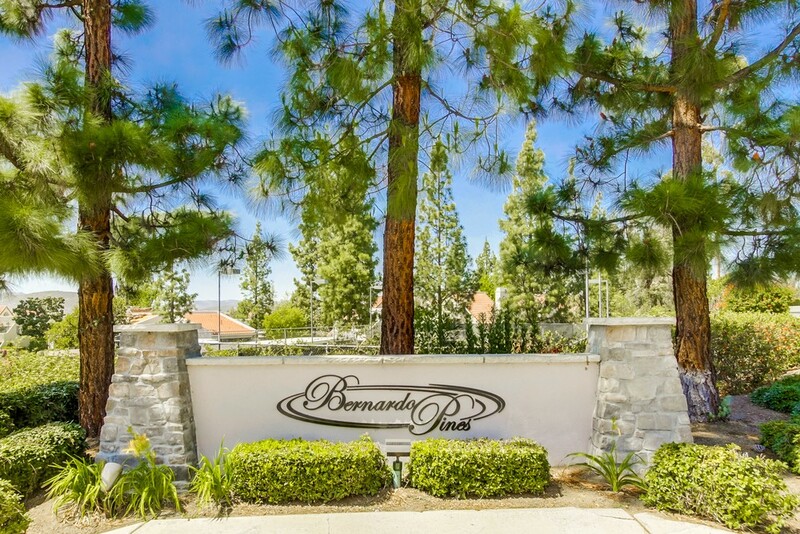 Lovely 3BR/2BA single level condo in Bernardo Pines. 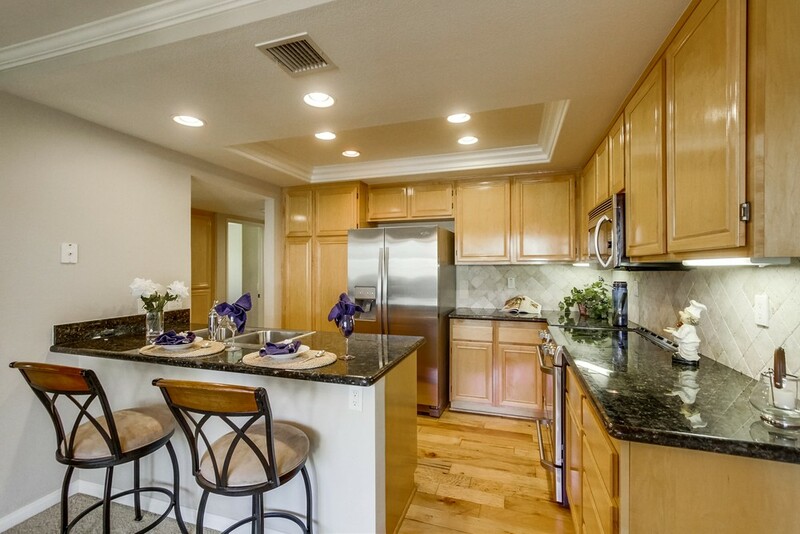 Kitchen & entry feature hardwood flooring. 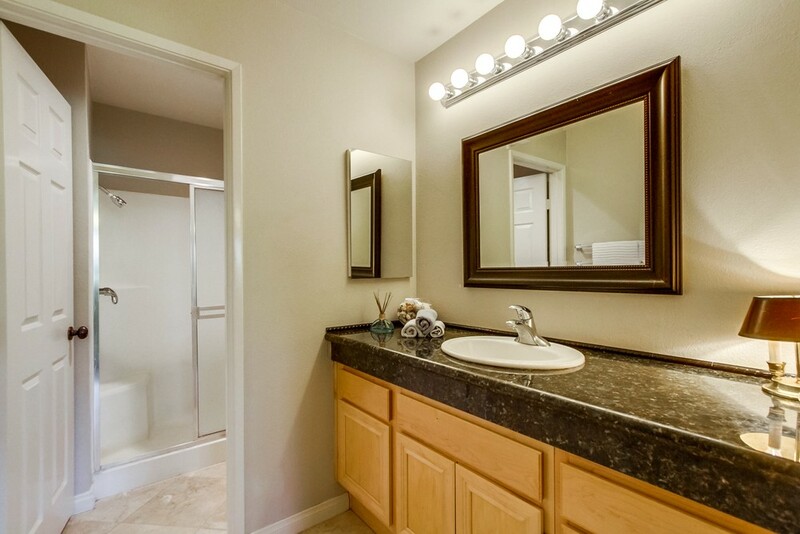 Upgraded kitchen & baths. 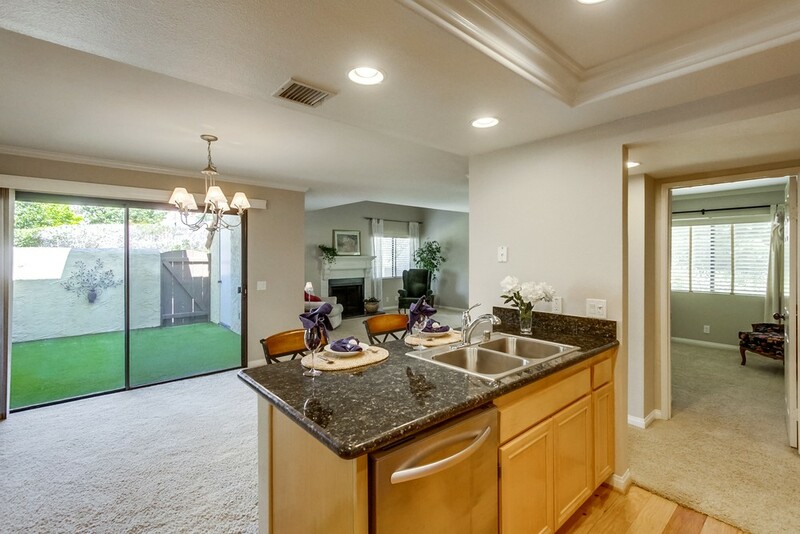 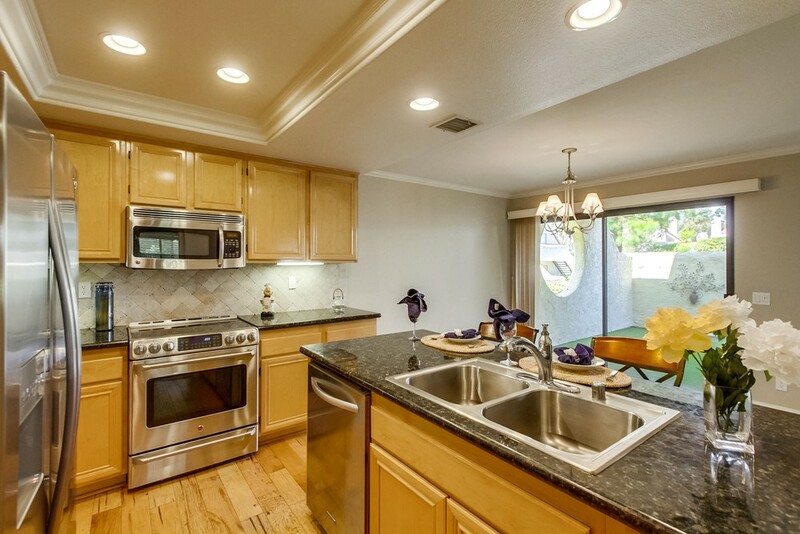 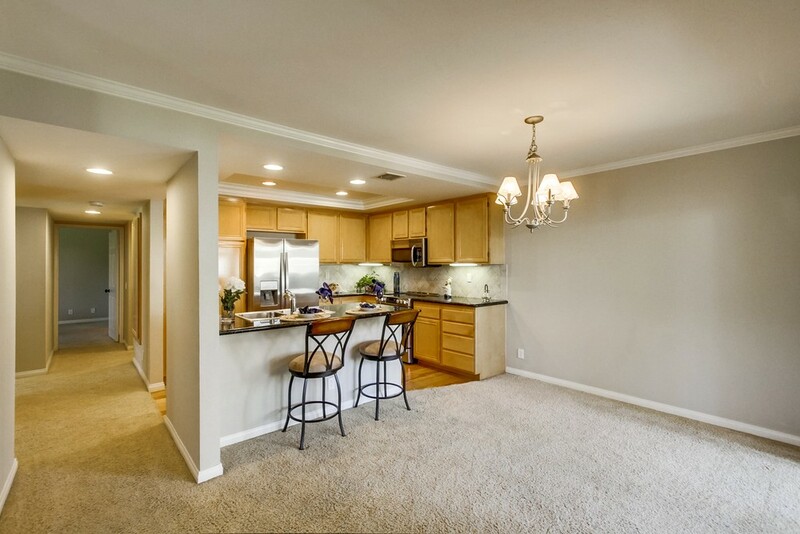 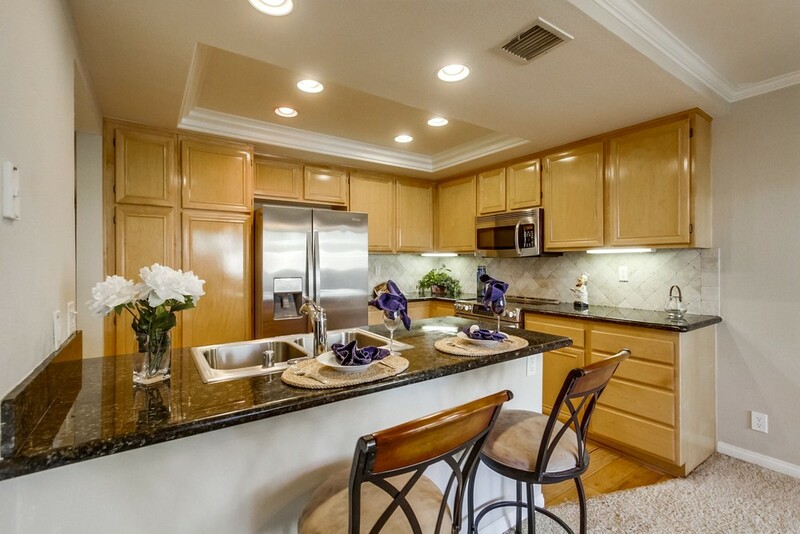 Kitchen has granite counters, stainless steel appliances, hardwood flooring and eat at counter seating. 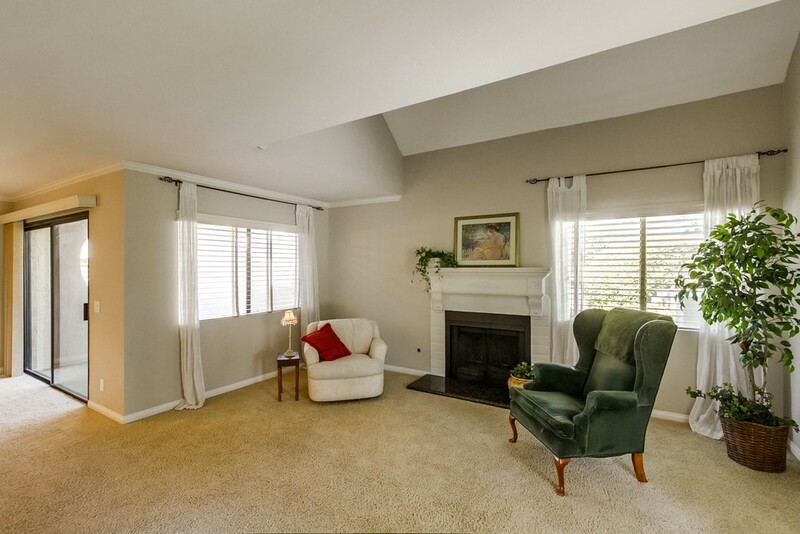 Living room boasts a cozy fireplace. 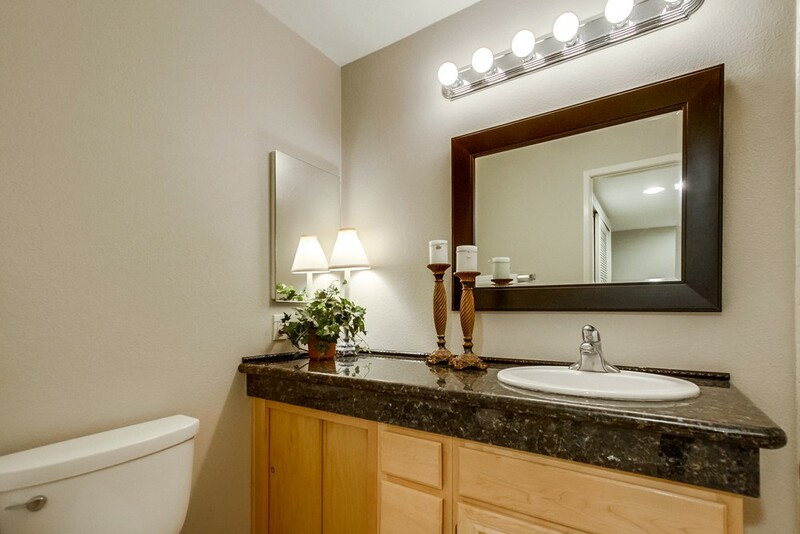 Baths feature granite counters. 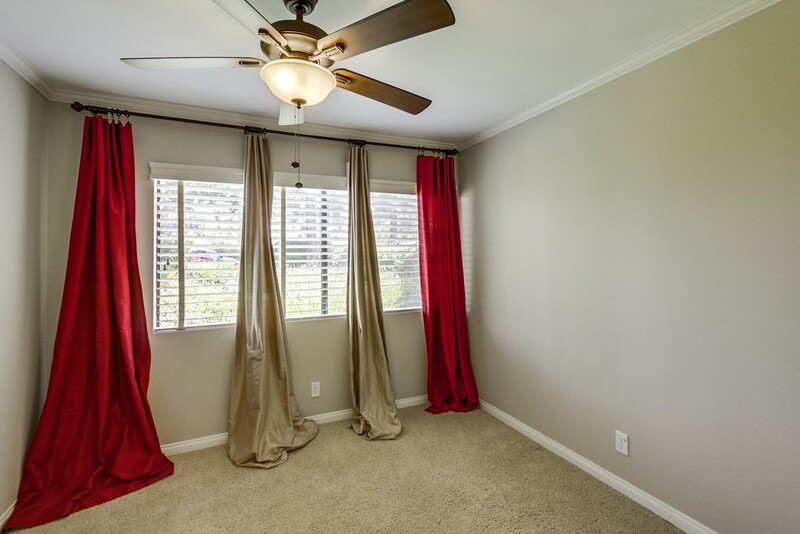 Master suite has walk in closet w/builtins. 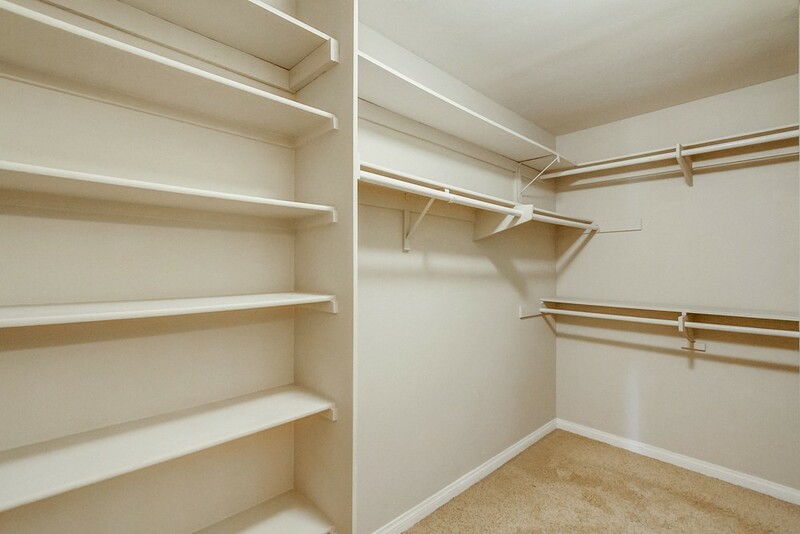 Full size washer/dryer closet. 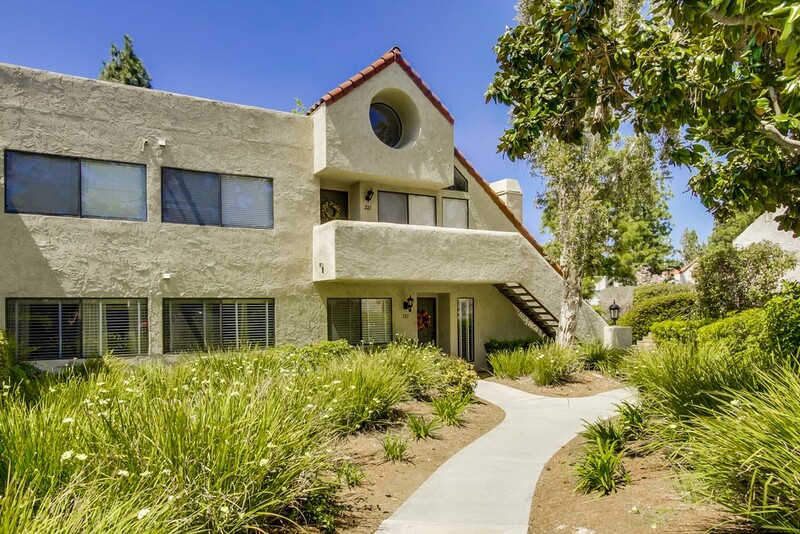 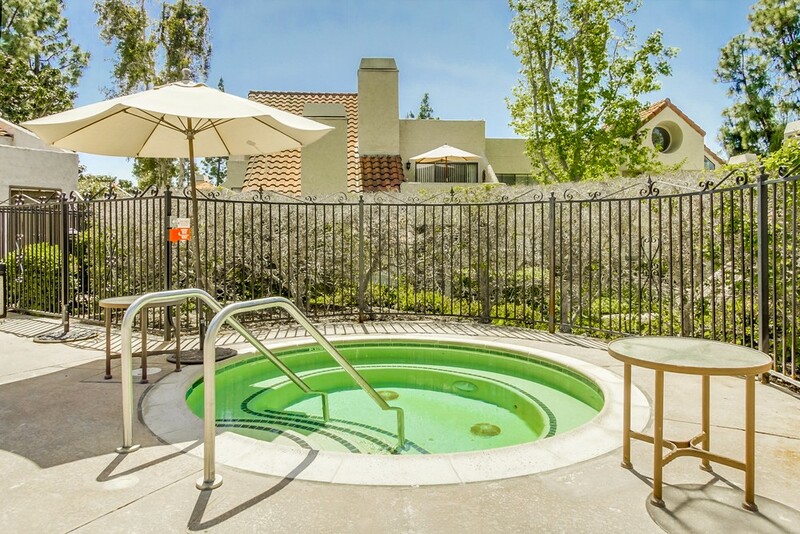 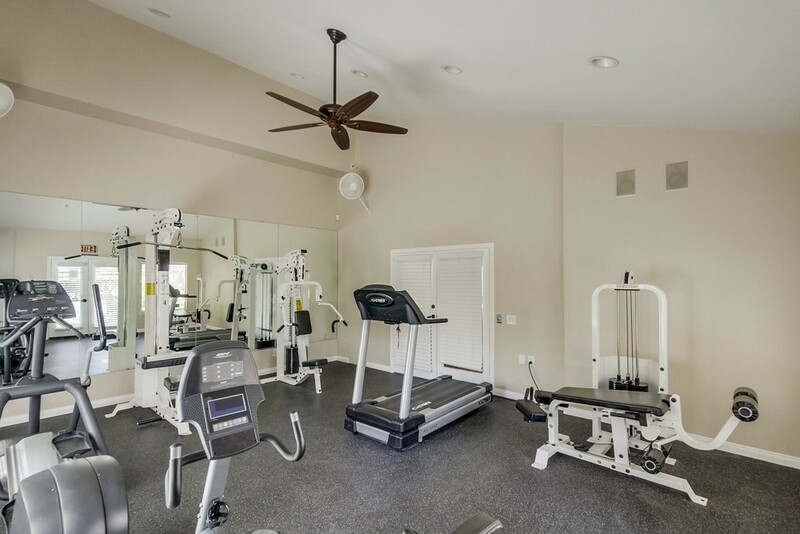 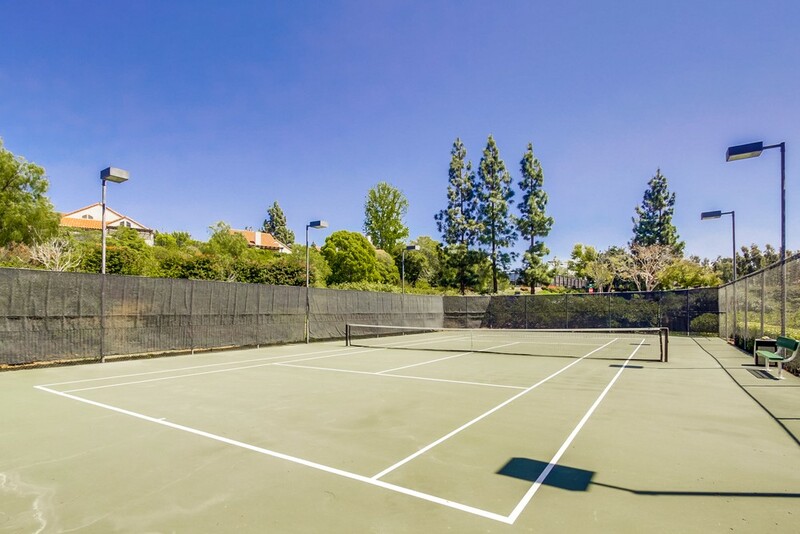 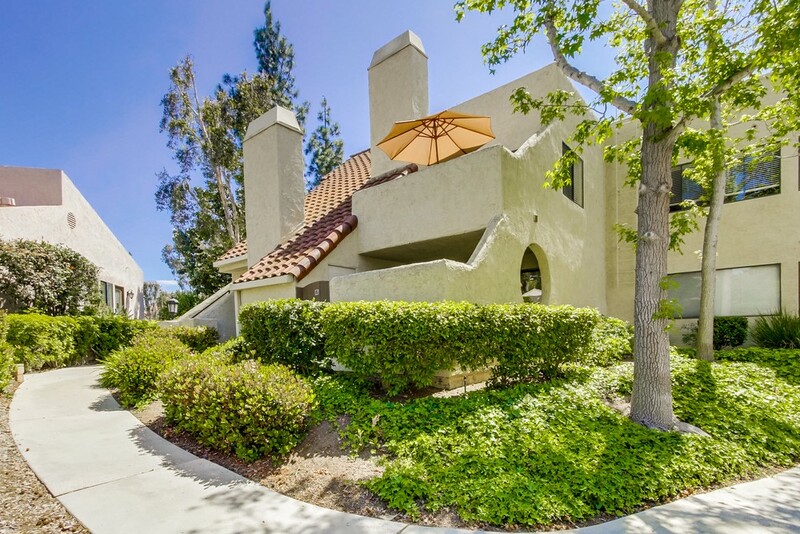 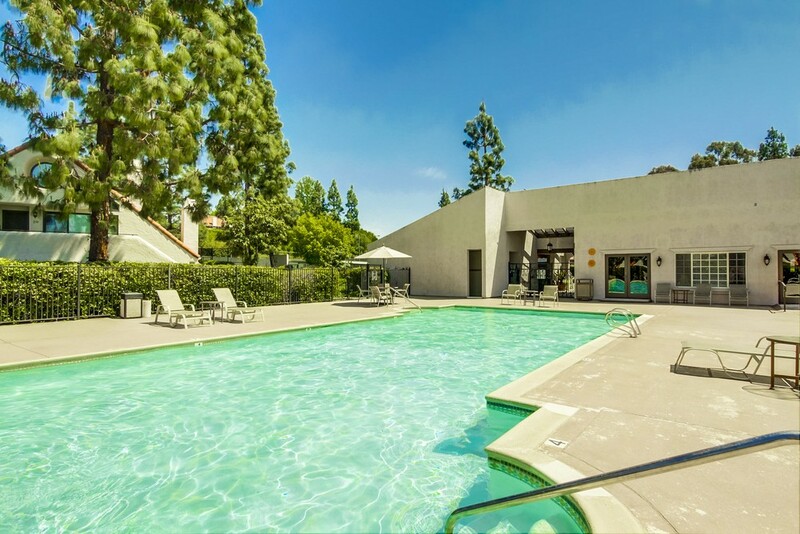 Complex is beautifully landscaped & features club house, swimming pool and tennis courts. 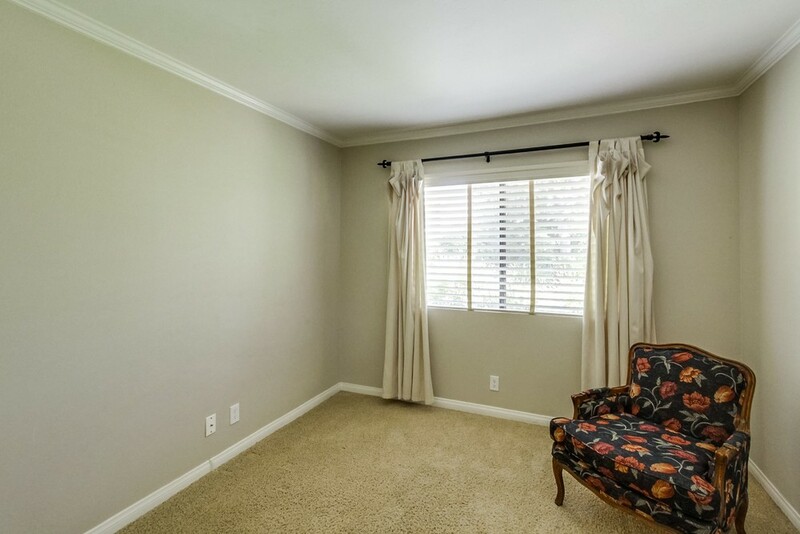 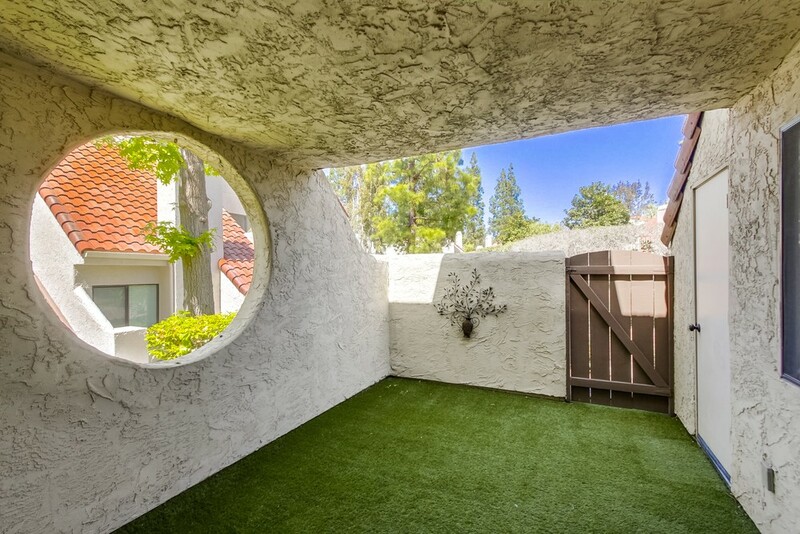 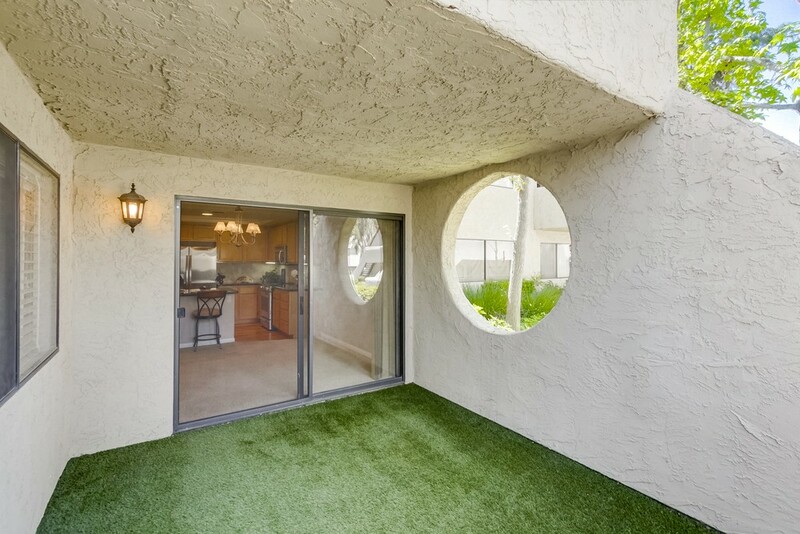 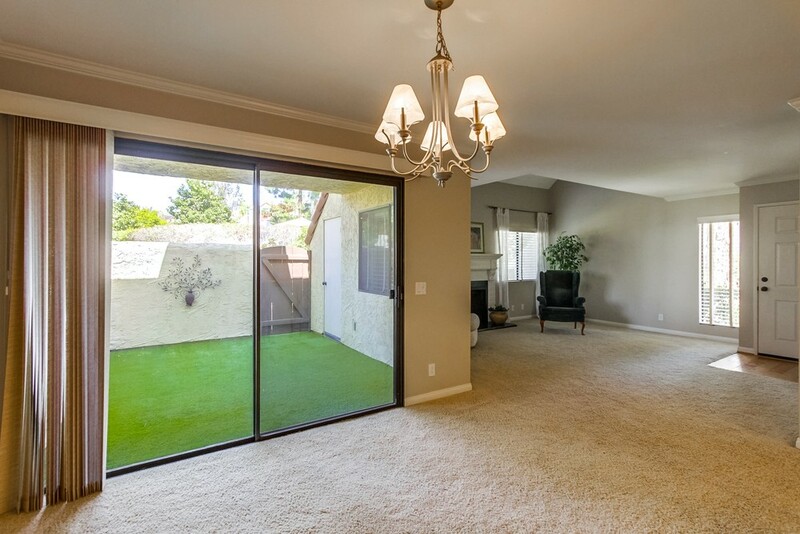 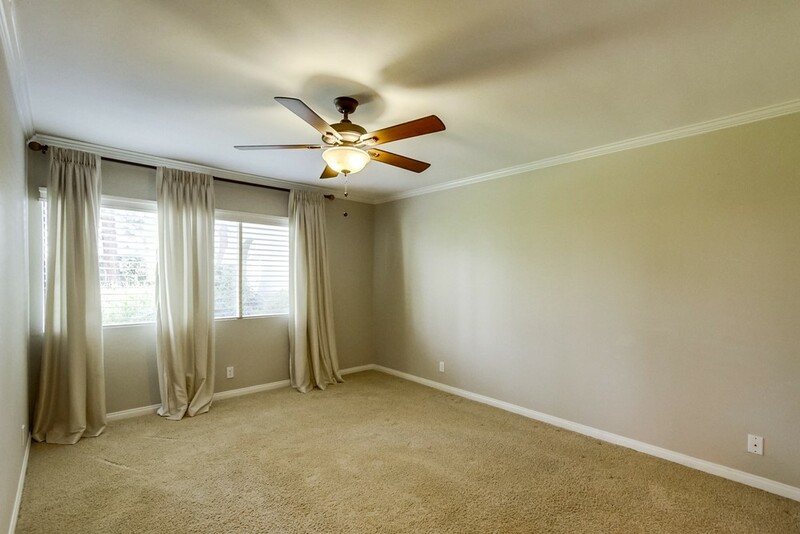 Centrally located close to Town Center and I-15.